Hard to believe it’s been 7 years. A very somber day for me that Tuesday. So sad of the destruction and lives lost. Today is a day to remember. My intention of this post was to pay respect to a great city that 7 years ago today, survived one of the worst experiences any city could go through. My thoughts are with anyone who lost a loved one, a close friend, a co-worker or someone they knew. And now I’m in tears. Beautiful post. Thank you. 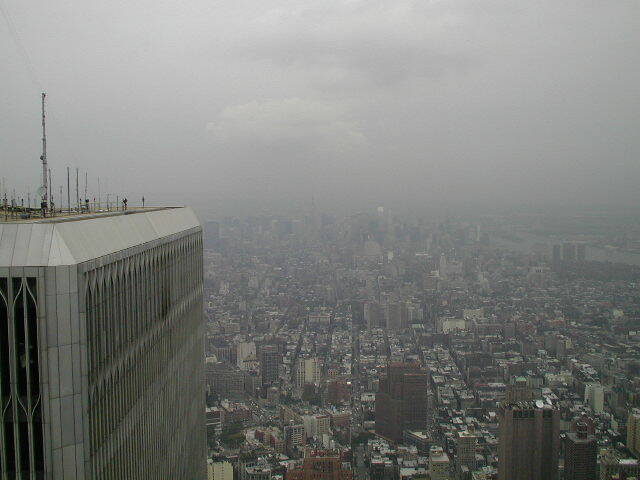 I only saw the WTC at a distance when I went to visit family in NYC as a kid. I hate to say it but I really hate this anniversary. I didn’t lose anyone that I knew that day — although plenty of friends did — but it serves as a reminder of the people whom I lost that summer. Until this summer, I didn’t think that I could ever feel a personal loss more than I had that summer. 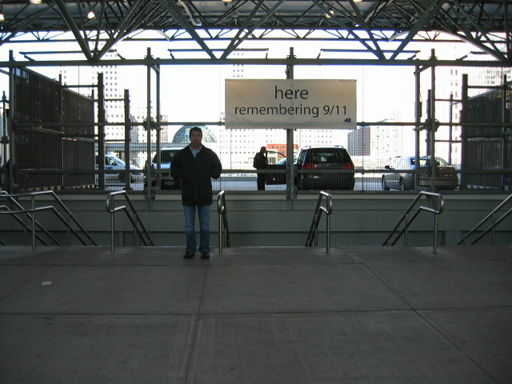 Because on 9/11 I was supposed to be returning to California from the East Coast after attending a funeral. And I got to see it all live on TV. I will never forget the images that I saw on TV that day. They will haunt me for the rest of my life. The hole that was left after the towers went down seemed to mirror the hole that was left in my heart. And then there were the days of waiting in limbo for my return flight. And there was the unspoken panic in everyone you encountered since I was in an area of Virginia that has a great military presence. Of course, if I had ignored my mom, I would have been at Quantico when everything happened. Bottom line. As Bec said, beautiful post. Because you made me remember the things that I try to keep buried. What the heck? Why am I crying? Beautiful post in its simplicity, Marty. Those pictures speak so many words. bec – Your welcome. And thank you for the kind words. dagny – Thank you. I images those images would be haunting for many years. Just seeing them from my place here in Utah was haunting enough. Your story of waiting for a return flight reminds me of one of my good friends who had changed her flight from Boston on the morning of 9/11 to a later date. She wasn’t on the same Flight 11, but to have been at that airport that morning would have been eery, to say the least. hilly – Thanks, Hilly. Very much appreciated. For as much as I’d never wish 9/11 to have happened in the first place, it brought our country closer. And there’s nothing quite like patriotism at its best. I wish I could have visited it before! I wish it never would have happened. But, Nilsa has a point. 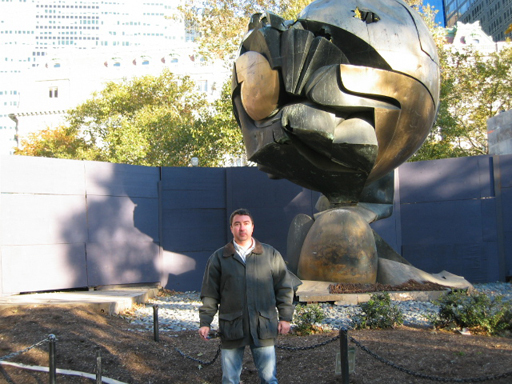 When I visited ground zero earlier this year I was overcome with, well, I don’t really know what. It was an odd feeling that I’d never felt before. Very moving that’s for sure. I used to work in Manhattan in 2000 – the kind of consulting job where I’d fly out of Austin every Sunday and come home every Thursday. When our Austin office closed in Dec 2000 and I had to find another job (incidentally the job I’m still in now), I was confused and a little bewildered. Come Sept 2001, I knew things happened for a reason. nilsa – You make a good point about how that day brought our country closer. kilax – I think you would have liked it. In the 70’s when it was being built, my mom always talked about taking me there to visit. It would be another 25 years before I would go to see it, but so glad I did. And glad that I was smart enough to backup all of my digital pics from that visit. 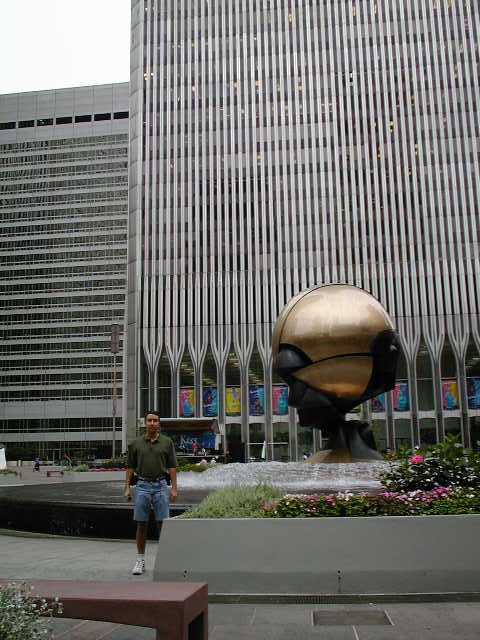 kevin – It’s that same moving feeling that most people get when they see Ground Zero. whall – Wow. That is a compelling story. Obviously, things happened that took you to where you are now, away from what was to happen. Cool that you got to work in Manhattan, though. I like big cities and NYC fascinates me. Motley’s adopted dad is a native of NYC. It had probably been six months or so since his last visit home when the attacks happened. He ended up not going home until the first anniversary. He had press passes for the memorial ceremony that first year so he had access to places others didn’t for the purpose of shooting video and photos. I remember him calling me during the ceremony, voice choked with tears, and hearing the bell tolling through his cell phone. It was so eerie. 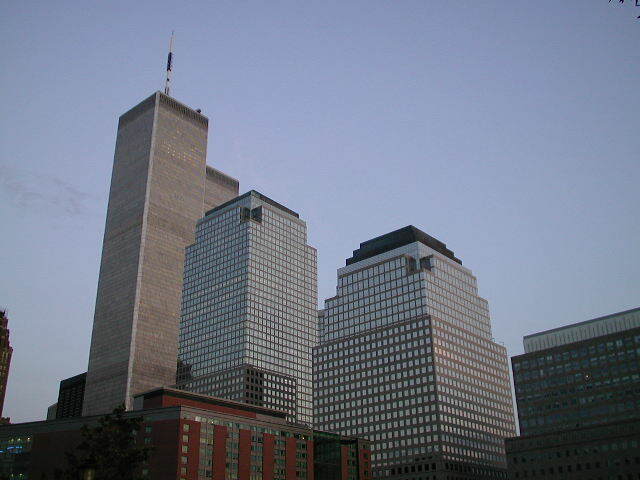 He’d called me earlier that day from the hotel to tell me about how choked up he was when his plane came in… he kept expecting to see the towers even though he knew they were gone. He said going home would never be the same again. Thanks for the photos Marty. They’re a very poignant reminder of a part of our history. winter – Wow… very close to it all, one year later and via a phone call. Very touching. I treasure these photos I have as they are a reminder of what was.